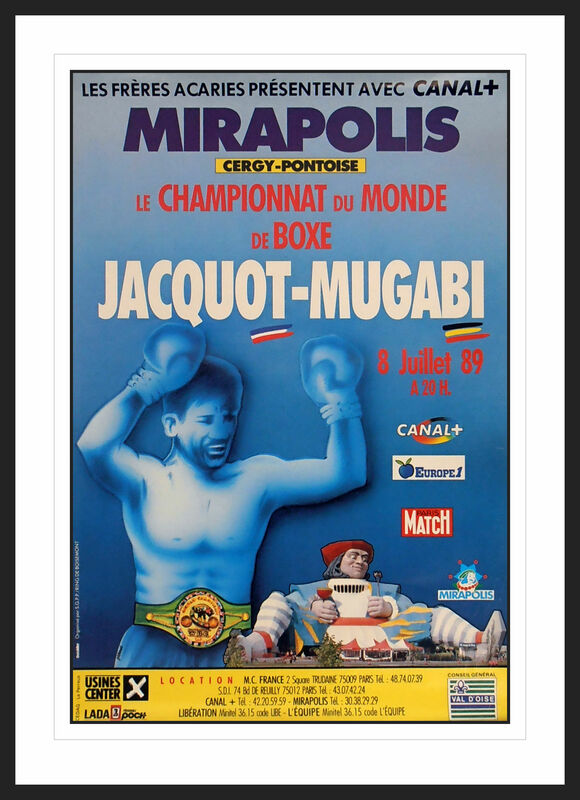 Description : Here we have an original onsite boxing fight poster produced by 'PARIS MATCH' for the WBC World Super/Welterweight Championship Title bout held at the Mirapolis, Cergy-Pontoise, Val-d'Oise, France, 8th July 1989. 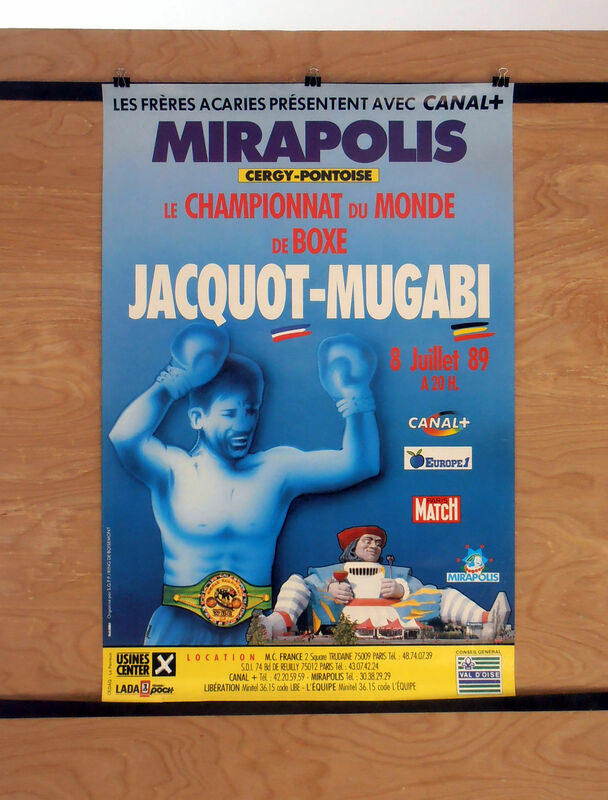 Former world middleweight & light middleweight title challenger John 'The Beast' Mugabi eventually won his world crown albeit in bizarre circumstances. 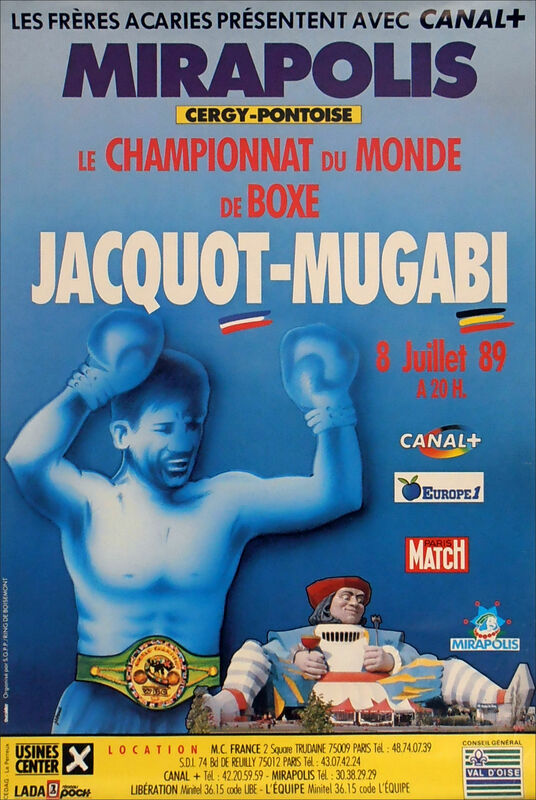 Reigning & defending champion Rene Jacquot injured his ankle after slipping to the canvas, at 2.53 of the first round forcing the stoppage. Condition : Good*minor handling*surface*edgewear*framed 4 display purposes only!